(FB Líneas Aéreas S.A. dba) (FO/FBZ) (Córdoba and Buenos Aires) 2018 - Current. Photos. Framable Color Prints and Posters. Digital Sharp Images. Aviation Gifts. Slide Shows. 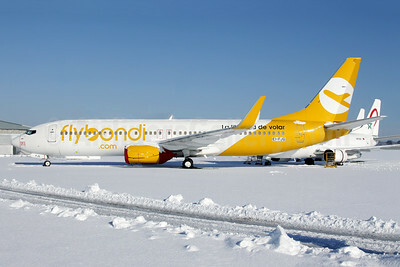 Flybondi (flybondi.com) Boeing 737-8JP WL EI-FJG (msn 37818) QLA (Antony J. Best). Image: 945615.